You're hit with flu virus symptoms: What to do? Keep our list of 7 flu treatments handy—and get back on your feet ASAP. Ugh—it arrives every year. Prevention, of course, is the goal, but if we fall prey to influenza, we need to know the most effective, reliable flu treatments to get us back on our feet. Autumn is here, and so is influenza—better known as the flu, a nasty viral infection that strikes millions every year, both in the winter and spring. If you have full-blown flu, you will likely feel very unwell and may be confined to bed for a day or three. And you may be looking—like all of us—for the best flu treatments. This flu season (2017-2018) is shaping up to be bad one, if Australia is anything to go by. (Click here to read the Australian government’s “Influenza Surveillance Report and Activity Updates.) Flu is highly contagious and can spread through a workplace or school like wildfire. Though debilitating, it is usually self-limiting, with most people recovering within a week or so. It is the young, the elderly, and the chronically sick who need to worry most about flu, for it can cause them serious complications—and can even be fatal. Home Flu Treatments: What Are the Best Flu Remedies? So you’re one of the unlucky ones to come down with the flu: Now what? Most people with the flu don’t need to see a doctor unless they are very unwell or in a risk group (see below). Flu Treatment #1: Stay hydrated. Experts at the Icahn School of Medicine at Mount Sinai in New York City recommend that you “drink lots of fluids.” When you have a fever and are fighting a virus, you need plenty of fluids to help your body fight the infection and to replace fluids lost from sweating and any vomiting or diarrhea you may have. Water is best but drink whatever you fancy (other than alcohol and coffee) and plenty of it. Hot water with lemon and honey and herbal teas containing ginger, berries or Echinacea are old favorites for many. Flu Treatment #2: Rest to restore your energy. Rest is another “must” advised by Icahn School of Medicine at Mount Sinai, whose experts note that bed rest helps you to avoid complications like pneumonia. We couldn’t agree more. Listen to your body. If you feel exhausted, weak, and dizzy, stay in bed. Rest and sleep really are the best medicine. Flu Treatment #3: Maintain a diet rich in fresh fruits and vegetables. For many people, flu knocks out their appetite. If you’re healthy, you’ll not need to worry about this for a couple of days. When you are up to eating, it’s tempting to reach for comfort foods like cookies and ice cream, but you’re better off opting for a healthy green salad, a superfood smoothie, or some good old homemade vegetable or chicken soup. Flu Treatment #4: Take over-the-counter medications. Pain and fever reducers, like ibuprofen (Advil, Motrin) and acetaminophen (Tylenol), which will reduce fever and inflammation and aches and pains. Children under 19 should not take aspirin. Cough medicines. Try cough suppressants for a dry cough and an expectorant if your cough is wet and productive (of mucous). Those are “The Big Four” flu treatments. But there are other research-backed natural flu remedies that may help you get back on your feet promptly, so we’ll continue with our list. Flu Treatment #5: Use zinc for an immune system boost. According to The National Center for Complementary and Integrative Health (NCCIH), “Oral zinc lozenges may reduce the duration of the common cold (research is sparse on flu), when started within 24 hours and taken for a time period of less than 2 weeks.” They advise against the use of intranasal zinc. Some clinicians warn, however, that side effects (such as dry mouth, constipation, and nausea) can result from use with several medications. Limit zinc use to one week only, and stop if you get side effects. Flu Treatment #6: Soothe your cough with honey. If it turns out your flu is actually a cold, no matter—it’s still a top home remedy to relieve those sore throat and cough symptoms. Flu Treatment #7: Try nasal irrigation to help breathing. 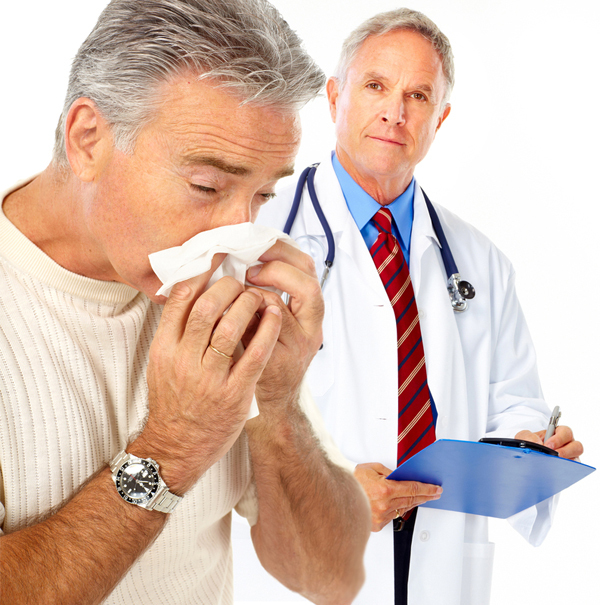 Research shows that saline nasal irrigation can be useful for treating nasal symptoms. What About Herbal Remedies and Vitamin C? 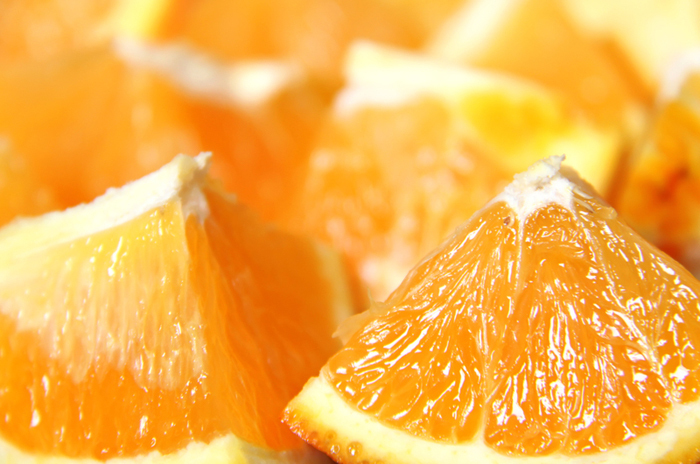 For flu treatments, many load up on vitamin C. Best source: citrus fruits. Several herbal remedies are touted to help treat flu, including: North American ginseng, licorice roots, berries and pomegranate, guava tea, and Bai Shao. Although many people swear by these herbal favorites, there needs to be further scientific research to support their effectiveness. Large doses are not recommended. You are better off eating a delicious orange or kiwi, which have many additional benefits for health; see our post on vitamin C.
When to see a doctor for flu treatments? Typically, we handle the onset of flu symptoms at home with the remedies listed here. But if we experience such symptoms as difficulty breathing or shortness of breath, pain or pressure in the chest or abdomen, or sudden dizziness, seeing a physician is recommended. If you fall into any of these groups, see your doctor as soon as you start experiencing symptoms. Get yourself vaccinated in the fall or early winter, especially if you are in the “risk groups” above. Stay home when you are sick. This will speed your recovery and reduce the risk of passing the flu on. Cover your mouth and nose, especially when you cough or sneeze, it’s amazing how far those droplets can spread. Clean your hands. Wash your hands often with soap and water or alcohol-based hands cleaners, especially after you cough or sneeze. Avoid touching your eyes, nose, or mouth, as this can be a route for infecting you. Avoid close contact (six feet or less) with people who are sick. 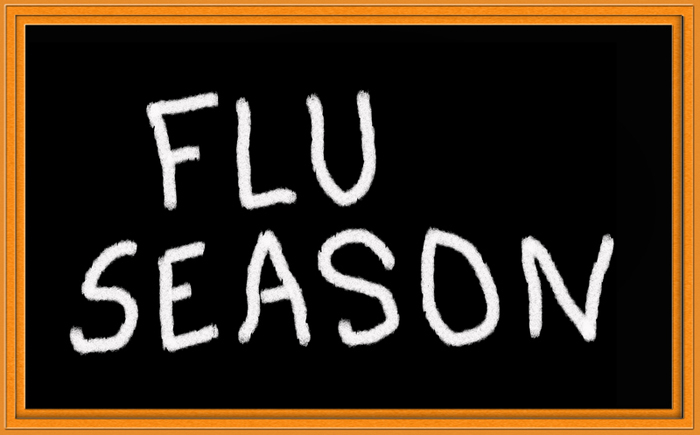 Fit, healthy people are at reduced risk of catching the flu and getting sick if they do. The basic advice to boost your immune system: Eat a healthy diet rich in fruits and vegetables, exercise regularly, manage your stress, sleep well, don’t smoke, and don’t drink alcohol in excess. aches and pains, alcohol, appetite, bacterial infection, best flu remedies, children, coffee, common cold, constipation, diabetes, diarrhea, diet, dizziness, dizzy, echinacea, exercise, flu, flu like symptoms, flu remedies, flu treatment, ginger, ginseng, headaches, health, healthy diet, herbal remedies, home remedy, honey, how long does the flu last, immune system, infection, inflammation, integrative, integrative health, liver disease, muscle, natural flu, natural flu remedies, pain, pains, pneumonia, pomegranate, recovery, report, shortness of breath, side effects, sleep, smoothie, sore throat, stress, stuffy nose, tiredness, vegetables, viral infection, virus, vitamin, vitamin c, vomiting and diarrhea, zinc. I don’t think you want to recommend drinking alcohol (in the last line of the article). Comma placement makes a big difference and or instead of and would work better. Thank you for reading the article and for your feedback! Stay healthy! I was diagnosed with COPD & emphysema in May of this year. I have been smoke free for 14 months. I quit because my first granddaughter was going to be born! I didn’t want to smell like an ashtray when I held her! Since then I have been having trouble breathing, gained twenty pounds since quitting smoking I was exercising and not losing any weight, seeing a dietician and being told to quit eating practically! I was depressed and feeling like nothing is working! There’s got to be a way to make me feel like my chest isn’t so tight feeling like something is stuck in my chest. I lost touch with reality.I started on Health Herbal Clinic COPD Herbal formula treatment in August 2017, i read alot of positive reviews on their success rate treating COPD disease through their Herbal formula and i immediately started on the treatment. Just 7 weeks into the Herbal formula treatment I had great improvements with MY breething ,I am unbelievably back on my feet again, this is a breakthrough for all COPD Patients, visit Health Herbal Clinic official website This treatment is incredible!